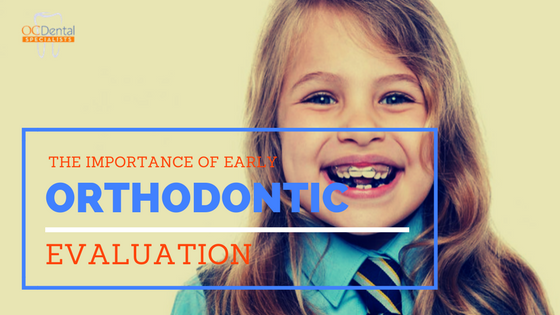 Many parents are surprised to learn that the American Association of Orthodontics recommends that every child have an orthodontic evaluation by the age of seven. While that’s a bit early to consider braces for kids, it allows you and our staff plenty of time to plan for future orthodontic treatment. Having misaligned, crowded, or crooked teeth can make children feel self-conscious and reluctant to smile. This is reason enough to consider braces. However, straightening the teeth offers several other benefits beyond how your child looks. This is especially true for kids who have speech, swallowing, or breathing problems due to the alignment of their teeth. Jaw and joint pain is common as well. Brushing and flossing teeth can be challenging with alignment problems. This means your son or daughter’s teeth don’t get as clean as they should and the risk of tooth decay increases. Some children are good candidates for treatment with Invisalign instead of traditional metal braces. This means they wear a clear plastic retainer that puts pressure on the teeth the same way that braces do. Each Invisalign tray is custom-made for your child and he or she needs to exchange it for a new one approximately every two weeks. Our staff understands that getting braces for your child is a big commitment of time and financial resources. We start the process by taking a detailed medical and dental history and then creating molds of your child’s teeth. Along with X-rays, molds help us plan the entire course of orthodontic treatment. We will let you know the estimated time of treatment as well as how often you need to bring your child in for a check-up. Retainers are an essential part of the treatment process as well. Your child will wear a customized retainer for a specified period after removal of the braces to ensure that the teeth don’t shift back into their previous position.